I’m a long way from Tuscarora, about 200 feet in the air and 5,000 miles from the nearest sagebrush. The New York Times drives the Extraterrestrial Highway. You be stylin’ like an eastern Nevada sheep-shearer in one of our eye-catching, head-turning fashion statement t-shirts. 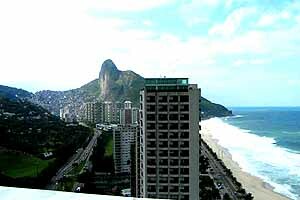 The view from the penthouse in Sao Conrado. To my right, thickly jungled mountainsides lunge up into a sky clabbered with slow-moving clouds; to my left, the Atlantic Ocean heaves itself ceaselessly against a broad sandy beach the color of honey. A couple of two-man teams are playing volleyball with only their feet and their heads. Below, a busy boulevard channels an iron tide of traffic — complete with police sirens — to and from the center of the city. I’m visiting Joe Conforte, the once upon a time proprietor of the Mustang Ranch, the most famous whorehouse in all America, maybe the world. He was born into poverty in a small fishing village in Sicily, now he lives like a king in his penthouse apartment in Rio de Janeiro. I’m here for a week, and it turns out that living like a king is actually quite pleasant. There’s the view of course, and the spacious apartment — I’m in the guestroom upstairs, with the Jacuzzi, the patio and the pool. There’s the cook, the maid and the driver, and the squadron of personal assistants. There’s Joe’s daughter Annabella. She’s 14 now, a bright, cheerful girl who speaks Portuguese as her native language, and is learning English at school. She was born in Rio and has lived here all her life. She is the apple of Joe’s eye, and also his ace in the hole: except in extraordinary circumstances Brazilian law forbids extradition of anyone who has a Brazilian citizen as a dependent. Joe’s daughter Annabella, Lucivana and Joe out on the town. most of them in Rio. He has nothing to do with prostitution here, and he has given up political control of Storey County. 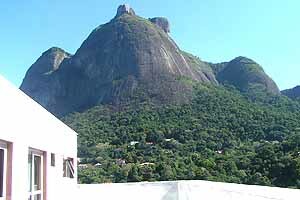 Hang gliders use this mountain as a launching point. Lucivana, and he met her in the Matto Grosso, when she was 17. He was staying at a resort, and she was a girl of the nearby village. He paid court to her, sent gifts to her family, but kept a proper distance until she was 18. By then it was her decision to make, and she decided to allow him to improve her life while she improves his. 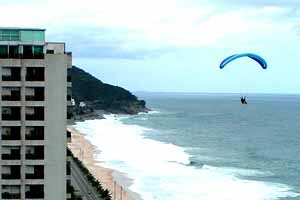 So Joe has the company of the most beautiful girl in Brazil, she has an apartment in the Copacabana district of Rio and he is sending her to college. 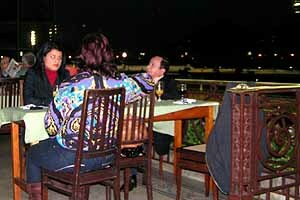 The Jockey Club at the Hipódromo is another of Joe’s favorite destinations. We went out on the town a couple of times, once to a favorite restaurant of Joe’s in the heart of the city, and once to the Jockey Club at the Hipódromo (race track, for you English speakers). One day we stopped by the bank so Joe could do some business while Lucivana went shopping. We were in the car waiting for the women to finish their shopping when a couple of policemen pulled their cruiser over and walked over to the car with big smiles. “These guys are my friends,” Joe says, and got out to greet them. His handshake contains a banknote, and there is an animated and jovial conversation. “It’s amazing what a little money can do,” Joe says afterward. “Those guys would do anything to help me.” Such as helping find a parking place, perhaps; Rio de Janeiro is a beautiful, cosmopolitan city in a magnificent setting, but so crowded with people and so supercharged with traffic (gasoline costs less than $1.50 a gallon here) that its charms aren’t as evident as they once were. 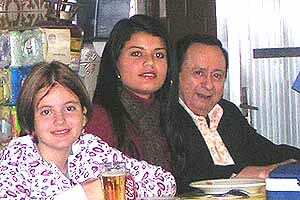 Grand-daughters of the Girl from Ipenema. Joe is a generous and attentive host, in and out of the kitchen while meals are being prepared, making sure the eggs are cooked to your liking, selecting the pineapple to be peeled and sliced, showing you how to put olive oil on the haddock, asking if you want toast, and if you do, how many slices. He is coaxing you to try the sliced mangos, the fresh figs, the peeled and diced tomatoes. Around the apartment he is generally dressed in black silk pajamas, and the most startling sight of my visit was to see him one morning throwing a football across the living room to Rosa Angela, one of his personal assistants. She is an attractive blonde, and it was a delightfully surreal experience watching her receive Joe’s softly thrown passes and then lob the ball back to him. He does this as a therapeutic exercise in the aftermath of his heart attack, and even though he doesn’t run routes or go deep, he still throws a tight spiral. I’m here to put the finishing touches on Joe’s life story. It’s the adventurous tale of a poor immigrant boy who came to America to seek his fortune. By pluck and luck he became the millionaire owner of the Mustang Ranch and a hero to everyone who ever dreamed of defying the odds, bucking the system, and getting away clean with the swag. 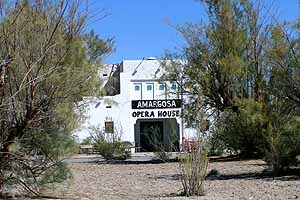 The Amargosa Opera House at Death Valley Junction where Marta Becket has been the prima ballerina for 40 years. She will begin her new season in November and we will be there. performance we learned from one of the volunteers at the Bottle House in Ryolite that her long-time friend and associate, Tom, had died earlier that week. We decided to drive to the opera house on the chance that the Saturday show might just go on (believing the Marta is a true show business denison). When we got to the counter inside the OH, we were greeted by the woman who, in fact, was selling tickets for the evening’s performance. Turned out, she was Tom’s daughter, toughing out the loss of her father but, along with Marta, willing to give it a go that night. Last month’s report on our jaunt to Elko and Tuscarora has prompted a spate of inquiries about joining future such excursions. The answer is simple: all you have to do is show up. There’s no cost to participate, and all activities are optional, so it’s only as expensive as you want it to be. Future excursions are announced at least a month ahead in the NevadaGram, and are posted in advance on the Nevada Traveler group page on Facebook. I try to pick destinations that are intrinsically interesting, and to visit them when there is a particularly enjoyable event or activity. 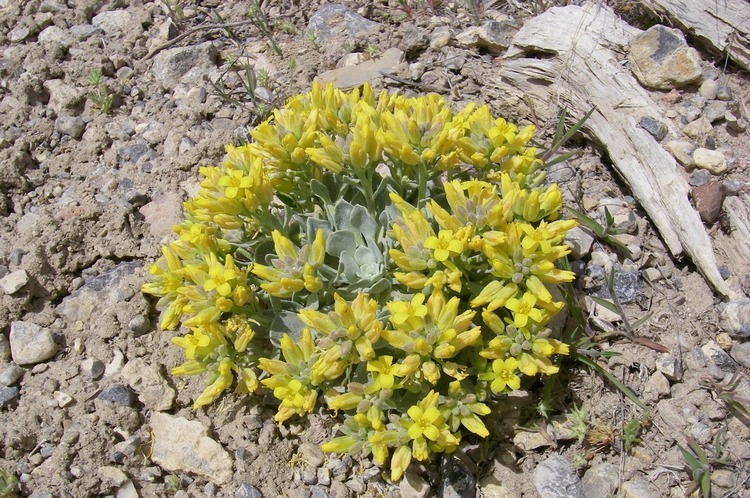 If you want to explore and experience Nevada in company with agreeable and interesting people, please join us. We got our tickets, headed down to Symphony’s Restaurant at the Pahrump winery for a late lunch and came back to join a full house of well wishers and friends from the region in watching Marta perform both her and Tom’s roles — a stunning one-woman show — she, occasionally on point. 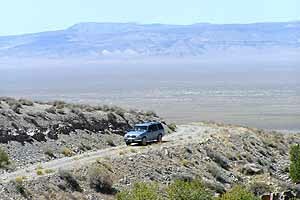 A Sacramento reader writes about his visit to Pine Grove, a mining remnant in the Pine Nut Range a about 20 miles south of Yerington. 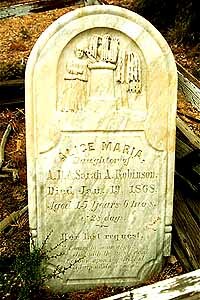 Gravestone of Alice Robinson, age 15, died 1869 in Pine Grove. on Friday and had a wonderful, quiet, and scenic drive up HWY 50, down 89 and across 208. Gorgeous! The Smith valley is quite stunning. Stopped at the Buckboard General Store in Smith for a Tri Tip sandwich to enjoy once I got there. Enjoyed the stretch along the river on 208 a lot, and soon after felt that refreshing feeling to be on Nevada dirt roads once again. I love that contrast from having been in Europe recently for three weeks to driving alone down those long empty stretches of road with beautiful hills in the distance and that rich blue enormous sky. Makes one appreciate each, more. The trail up to Pine Grove should only take about twenty minutes but I kept stopping to take pictures of wildflowers, everywhere, varied, and colorful. I was the first one to arrive, so after a little scouting and checking things out I settled on our group spot and built a temporary fire ring and unloaded supplies. The old building that seems like it must have been a schoolhouse was home base. I ate the delicious sandwich and popped open an obscure Trappist Monk Belgian beer I had brought back from our European trip, picked up the guitar and sang and played for an hour and a half. I felt compelled to sing that old standard, In The Pines, more than once. Then Guphy and her friend showed up with a mess of dogs and we sat on the hill and took in the view while the mutts went crazy sniffing everything. Soon after more friends showed up, I made a casserole in the dutch oven, and we all settled in with conversation and beers. We capped the night with a nice walk up the hill to look at the other buildings by lantern light, came back, sat around the fire shooting the breeze and then off to bed. Next morning we had a hearty breakfast and I hit the road. Uneventful on the way back. 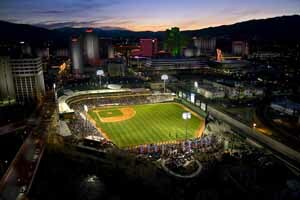 The Reno Aces have captivated the city with minor league baseball. This photo by Owens Imaging helps explain why: the new stadium would be an attraction even without a team. three. In the peak of the bonanza years there were a dozen daily papers competing there — it’s something in the air . . . 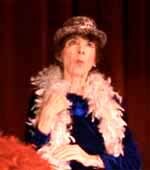 Speaking of newspapers, former pin-up girl Margaret Caldwell of Mesquite is the world’s oldest columnist. She’s 102 and writes a weekly column for the Desert Valley Times . . . It started in May, and Las Vegas‘ Fremont Street Experience Presents the “Summer of ’69: Vegas or Bust” all summer long offering free concerts by iconic bands from 1969, including The Guess Who, Blood Sweat & Tears, Rare Earth, Janis Joplin’s Original Band Big Brother & The Holding Company, The Grass Roots, Jefferson Starship, The 5th Dimension, Canned Heat and Three Dog Night. Themed nightly entertainment will also include cover bands and tribute artists, theatrical performances with costumed entertainers, new Viva Vision shows paying tribute to the year 1969, and special guest appearances, all free to the public. 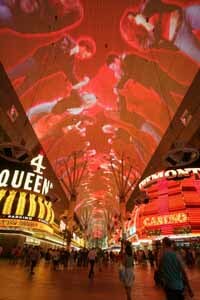 The Fremont Street Experience, downtown Las Vegas. If you prefer something more opulent, Wynn Las Vegas and Encore are offering luxurious room packages through September from $169 a night. There are five packages available that offer everything from a romantic retreat for two to a leisurely golf game on the Las Vegas Strip’s only golf course, private car service to and from the airport, spa passes, tickets to Le Reve and more . . . The City of Fallon, in cooperation with the Churchill Arts Council, will present a free in-the-park concert with the Red Stick Ramblers on Saturday, June 20 in Oats Park beginning at 7:30 PM. Folks are invited to get together with family and friends, bring a picnic supper and enjoy a summer’s evening of outstanding music under the stars. Dancing will be possible in front of the stage and the popular Art Bar in the Oats Park Art Center (hint: martini) will be open immediately following the performance . . . 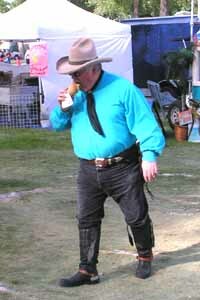 I hope you were among the throngs that turned out for the Carson City Rendezvous this year. Good food, lots of people playing dress-up, Stan Paher getting a sunburn selling books and my All Time Fave Sourdough Slim on stage. It was lovely! are 40 million active mobile Web users in the United States alone . 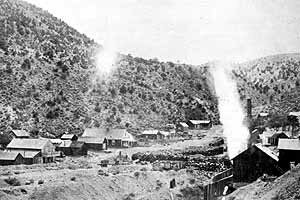 . . On Saturday June 20 at 11 am Stanley Paher presents a new, revised edition of “Nevada Ghost Town & Desert Atlas” at Sundance Bookstore, 4th and Keystone in Reno. 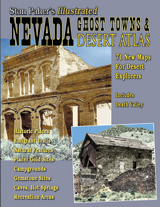 This new edition includes 71 exceptional full color maps, 740 ghost towns, 180 gemstone hunting sites, caves, hot springs, camp sites, pioneer cemeteries and more. The first edition was excellent, and this new one is a solid improvement over that . . .
And NadaDada Motel, in its 3rd year happens in Reno, June 18–21 at the Hotel El Cortez & Townhouse Motorlodge, both at 2nd & Arlington. Admission to these exhibits is still free. So far, over 150 artists of all media have been involved, most from Reno, but also from other places such as Washington, California and Las Vegas. The name of this art-in-motel rooms has changed each year: Dada Motel happened in 2007, Nada Motel in 2008. Why? No one knows . . . This reminds me that Artown, one of the most comprehensive art festivals in the country brings more than 400 events to downtown Reno for an extraordinary showcase of theater, dance, film and history as well as multi-cultural, musical, visual and performing arts. In this 14th year, Artown expands its month-long event into a 32-day festival transforming the city into a summer epicenter of cultural entertainment. For a free schedule details or to advance order a free copy of the Little Book of Artown, visit the Artown website or call 775-322-1538 . . . Jarbidge may be Nevada’s most out-of-the-way community. Author-publisher Stan Paher has introduced editions of his Nevada Ghost Towns & Desert Atlases with new ghost town sites and 71 revised full-color maps with full aerial relief. They are now available at our online bookstore and in brick-and-mortar bookstores and museums throughout Nevada. 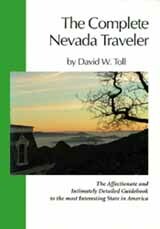 The atlases are companions to Paher’s award-winning and classic Nevada Ghost Towns and Mining Camps, now in its 14th printing. A special bonus is a collection of 530 vintage photographs, most of them the work of famed ghost town chronicler Nell Murbarger. Murbarger was a well-known magazine writer who explored and photographed Nevada before ghost-towning became a popular pastime; Paher acquired the Murbarger photograph collection after her death. The atlases are the culmination of Paher’s own personal passion for exploring the Nevada-Death Valley backcountry and ghost towns. Elko to the Charleston/Jarbidge turnoff (approximately six miles south of Wild Horse Reservoir), and head east following the signs all the way to Jarbidge (the last 50 miles are unpaved — not recommended for large RVs; if that’s what you’re driving, call or e-mail Mary Stadstad: 208/841-0106 or 775/488-2373) for directions involving more pavement. I mention this because of the trip is always enjoyable, and there’s a Strawberries & Bluegrass Concert scheduled for Saturday July 4, 6:30 pm at Pioneer Park. Music will be performed by the Strings Attached quartet and homemade ice cream will be served with strawberries and other toppings. There’s also a Centennial celebration upcoming August 14 – 16 and Mary has the information about that too . . . The Douglas County Historical Society will hold its popular Summer Swap Meets 8 am – 3 pm on June 20 & 27, July 11 & 25, August 8 & 22 and September 12 at the Valley Museum & Cultural Center (the old high school), 1477 U.S. Highway 395 in Gardnerville. Sign-up applications are at the front desk of the Center or on-line here.